Het Vijfde Seizoen . 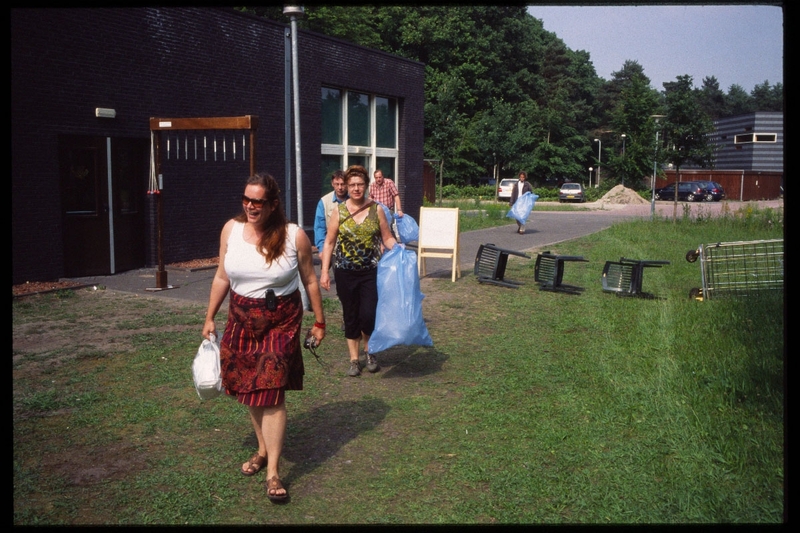 Marisca Voskamp van Noord was an ‘invisible’ resident of Het Vijfde Seizoen. In a way, she had her own ‘fifth season’. 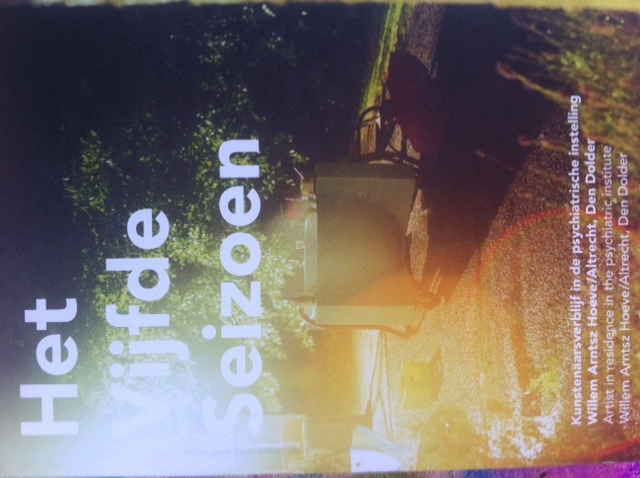 For a year Voskamp worked silently on her artist’s contribution to Het Vijfde Seizoen. She wanted to contribute positively to how the image of psychiatry is shaped. As a basis for her artwork, she chose to gather breath. The breath of all departments, clients and employees, then was packaged-as instructed-in plastic bags that were provided. This way the engine of life became visible. 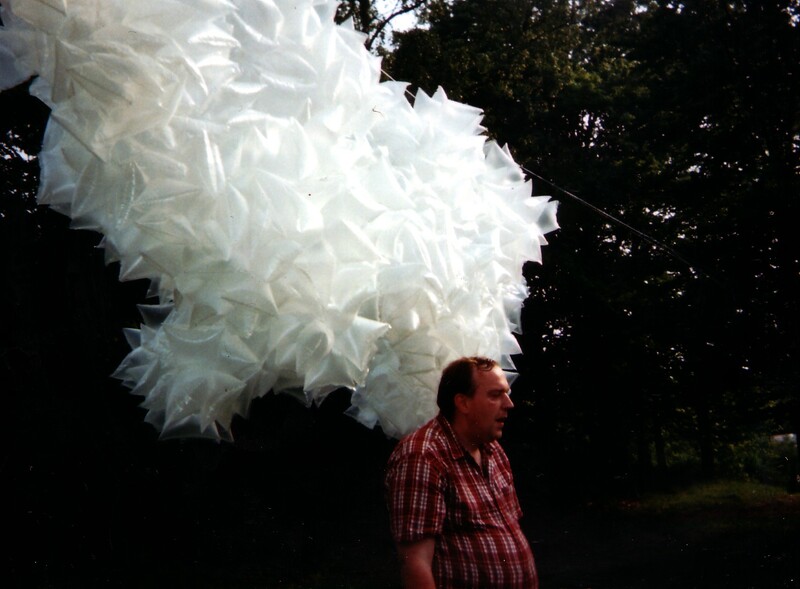 All bags were bound together into one big cloud, named ‘Ademtocht’ (expiration). What was it all about? I conceived the idea of giving form to the isolation of mental illness. The work project had to result in a visual image. In order to achieve this, I chose to visualize the invisible phenomenon of ‘breath’. I wanted to collect a ‘bag of breath’ from every patient and staff member from 45 wards and then bind these bags together to form one large cloud of breath. This motor of life, a collectively shared breath, would be the container of emotion. 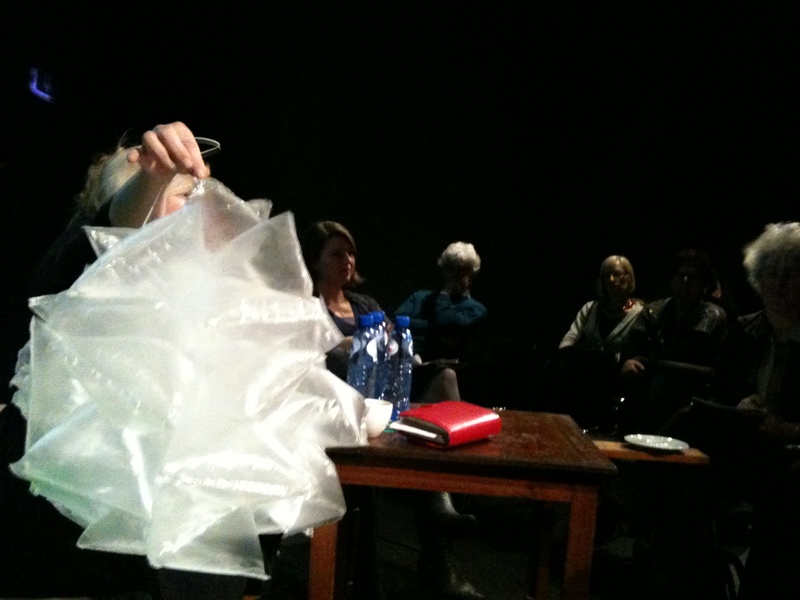 So I made a simple appeal within the Altrecht organization through intranet, by asking: Would you like to help make an phenomenon visible by donating your breath in a bag for an art project? The idea encountered tremendous resistance, however. It was considered crazy! I saw this as an innocent, vulnerable ‘breath’, wich I had to push through a thick wall. An enormous effort by all sorts of parties. This project had to go through, as far as I was concerned, because it was about equality, but also because it was genuine. 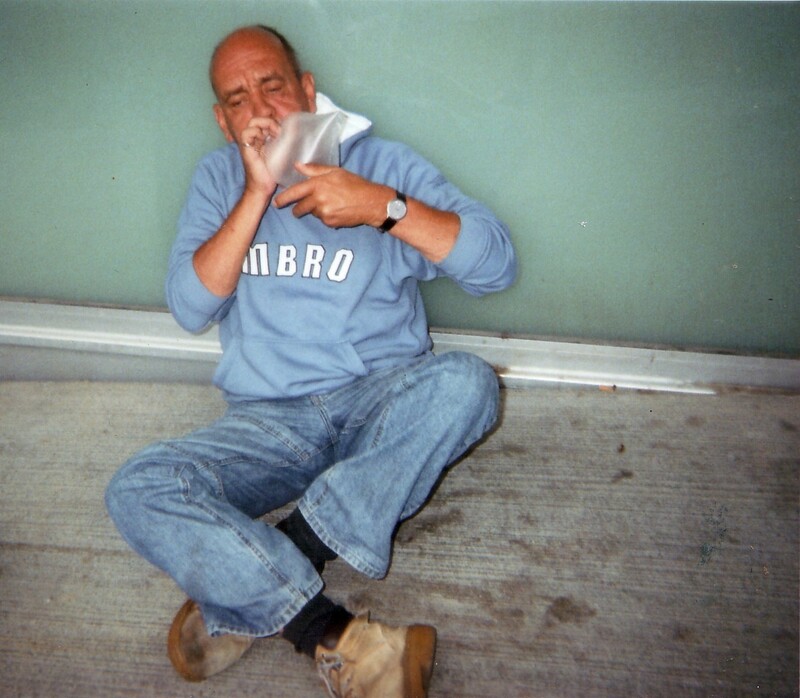 In the end, I received permission to collect breath for three days, from staff members in the staff canteen during lunch break, from a group of forensic detainees and from borderline youths from the Willem Barents ward. When I brought the bags to the staff canteen, I didn’t have to explain anything, everything went automatically. The staff immediately began to blow; they had already read about it on intranet. The patients, who supposedly’ don’t want to do anything”, couldn’t stop donating breath either. They chatted away cheerfully, and their supervisors were surprised at how motivated they were. 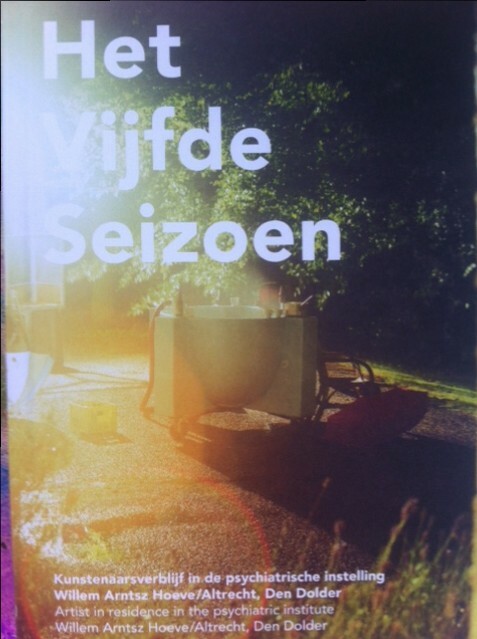 After the three ‘blowing days’, I was supposed to arrange a presentation during the client council’s annual barbecue at DE Wissel. In the meantime, one morning I unexpectedly received a call: the ‘TALENT’ ward also wanted to participate; its clients absolutely did not want to miss this project. At the last moment, the breath’ within the institute came to life. On their own initiative the ‘talents went to all of the awrds collecting bags of breath for seven days, thus picking up the content, the power and intention of the project. That was a wonderful surprise. A bus full of ‘breath’ and patients came from Utrecht to Den Dolder to celebrate the presentation day. Now all that had to be done was to tie all those full bags of breath together a devilish task! I was convinced that people would understand the project. I had to prove that I could make ‘breath” consistent. For this I chose a special ultraviolet-proof elastic for fastening the ‘breath’ bags (sandwich bags), tying them together and putting them at the right pressure. The whole thing had to have a metapsysical charge. And to this very day, that ‘breath’ still exists. It has been consistent now for five years.